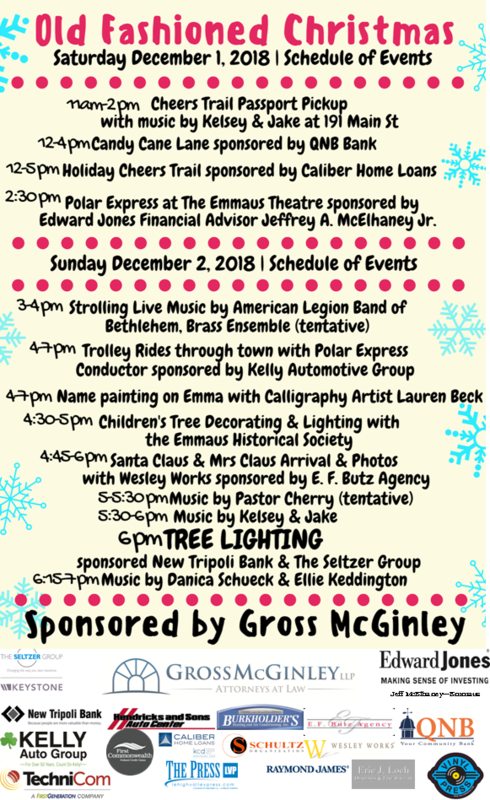 Change in Emmaus’ Old Fashioned Christmas Schedule! You are here: Home / Blog/News / Blog / News / Change in Emmaus’ Old Fashioned Christmas Schedule! Check the schedule below for details!